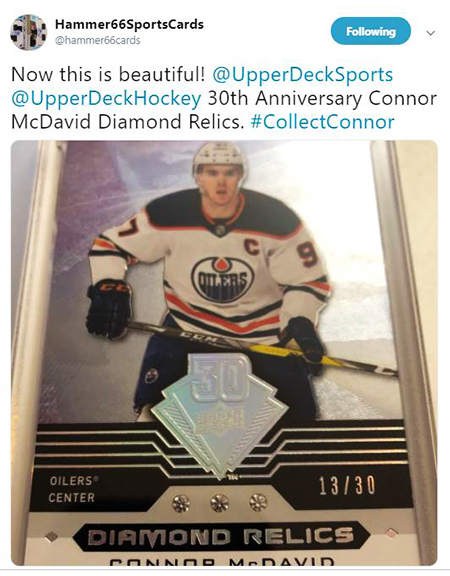 Starting in early 2019, fans started noticing something different in packs of 2018-19 NHL® Trilogy in the form of a Connor McDavid triple diamond relic card that touted Upper Deck’s 30th Anniversary. 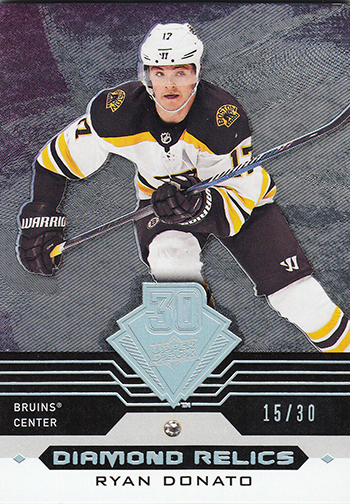 Then two of these cards popped up in 2018-19 NHL® SP Game-Used with legendary player Pavel Bure getting double diamond treatment and rookie Ryan Donato getting a single diamond version of the 30th Anniversary tribute cards. 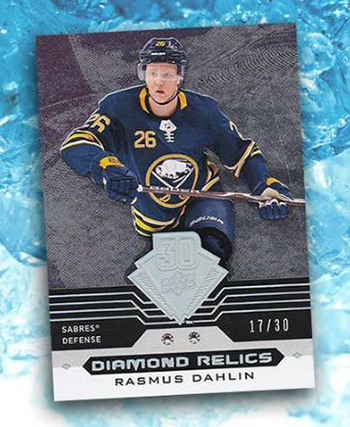 Fans were delighted to see the diamond relic inclusion continue with 2018-19 NHL® Upper Deck Series Two when fans discovered double diamond relic cards for Rasmus Dahlin. 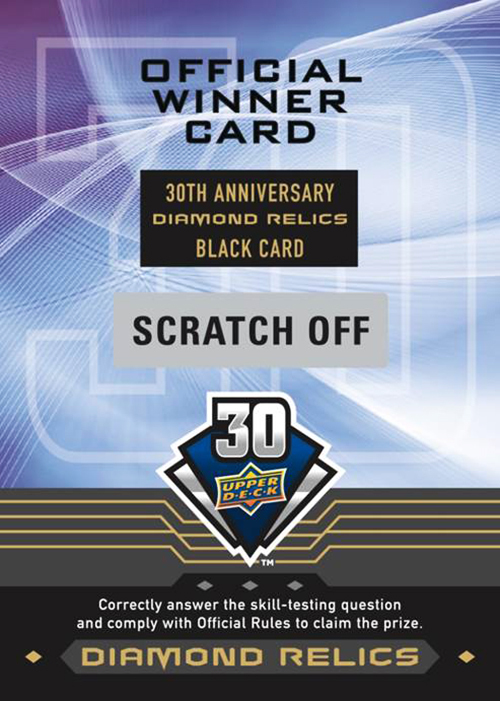 To help celebrate Upper Deck’s 30th Anniversary, there will be 30 total diamond cards produced during the 2019 calendar year for sports and entertainment releases. Each of these cards will be limited to just 30 copies and feature anywhere from one to three diamonds embedded into the cards. 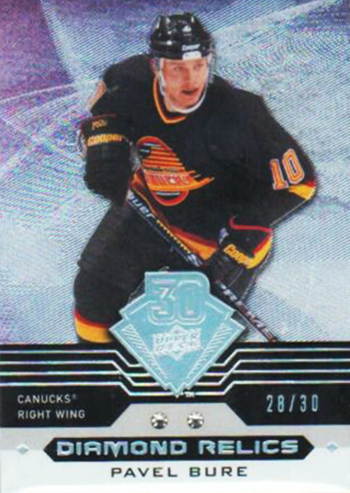 Look for the 30th Anniversary logo on products to know which releases will have this overlay program available in packs. 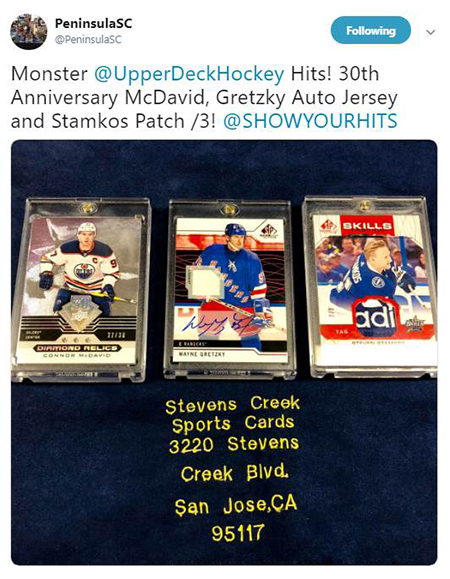 Beyond these limited cards numbered to 30, there will be rare one-of-one parallels that will be distributed through a live draft that will take place around the 2019 Fall Sport Card & Memorabilia Expo in Toronto. Thanks to all the fans who have helped make Upper Deck remain, “The Collector’s Choice” after all these years! We appreciate your support more than you will ever know.